Rebellious and strong-willed, Kalliassa flees a political betrothal arranged by her brother, the emperor of Rome. She runs to the one man capable of preventing the match -- her brother's sworn enemy. Unwittingly, she throws her fortunes into the hands of a man pledged to destroy Roman rule. Taurus, proud Governor of Panua, would do anything to provoke the emperor, even ruin an imperial sister. But Kallie is like no woman he's ever met, and she tests his strength of will and his solemn vow to end the reign of her family forever. Can true love overcome lust, lies, and deceit? Q: Hi, Christine. Thanks for stopping by to talk to us about your new release. Please tell us a little about yourself. A: I was born and raised in Scotland and now I live in Canada. I’m married and have a daughter. A: I started writing novels about five years ago to encourage my daughter’s love of writing. She loved reading from a very early age and it seemed natural to progress into writing stories. 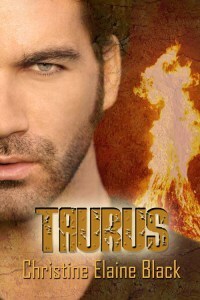 A: My most recent release is Taurus, book II of the Imperial Desire series. A Roman girl runs from her brother (the emperor) and his political schemes into the hands of his sworn enemy, Taurus. A: This book is the continuation of a story revolving around a Roman family and their ongoing feud. After Maximus ended I had so much more left to write about the next generation that I started book II and made it a series. A: That is so hard to choose one character. I love my Roman men. It’s like choosing a favorite child… not possible for me. Both Maximus and Taurus are flawed underdogs with redeeming qualities. A: The challenging aspect in a romance is not to involve the secondary characters too much. My first books were sagas that remain as yet unfinished but I hope to publish them next year. A: Wow, yes many great ones that I could not possibly live up to their skill level. Colleen McCullough’s Roman series – a tour de force. Pauline Gedge’s Egyptian historicals are unbelievably readable and magical. Jack Whyte’s series of Camulod (King Arthur and Merlin) are magnificent. And Bernard Cornwell’s Viking series (Alfred the Great) is my current fascination. A: I’m just finishing up a romance set during the war of the roses. It will be released shortly. A: Network with other authors, join writing communities online and don’t limit your options to one avenue of publishing. To learn more about Christine Elaine Black and Taurus, please visit the following links. The parchment rolled out of Kallie’s hand and fell to the floor with a sharp oath directed at the author. How dare the emperor use her as a pawn in his game of politics! The love and trust she had placed in him as a small girl, watching from afar as their grandfather groomed him for greatness, shriveled in the brutal realization that he now ruled with complete disregard for his family. Marriage! To a man at least three times her age, ruler of a desert country, and with a harem of wives and concubines, no less. The only choice appeared to be swift action to avoid the imperial order. On unsteady legs she ran for the stables. The horses stamped impatiently, and Kallie glanced around for the boy normally on duty at this time of day. “Sergius, are you in here?” A rumble of laughter greeted her. “I have my reasons.” Atticus scratched his bushy beard, a twinkle lighting his dark eyes. “Where can we hide from the entire Roman Empire?” Kallie mused. “I know a place, but it will require cunning, and could be dangerous.” Her uncle chuckled with his usual good humor. Kallie’s mind glowed at the possibility of escaping her brother’s reach. The great emperor, Caius Gregorian, would not be amused.